A woman, who was arrested for allegedly throwing her one-day-old infant into a drain at Newlands East, in Durban two weeks ago, has been charged with attempted murder. The woman did not appear in court in person and her case postponed to next week Wednesday. The suspect was not present at the Ntuzuma Magistrate’s Court as she is still receiving treatment at the Addington Hospital where she is under police guard. The accused was arrested on Monday. Additional charges could be filed when she appears before court next week. 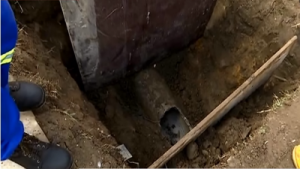 An abandoned baby was pulled from the storm water drainage pipe by paramedics and rescue officials during a dramatic mission. The infant had spent hours in the drain, but survived. The post Durban mother of dumped baby charged with murder appeared first on SABC News – Breaking news, special reports, world, business, sport coverage of all South African current events. Africa's news leader..